Clos des Jacobins is located at the entrance to the medieval town of Saint-Emilion. Since the 17th century the vineyard has remained as a single block around the chateau. The vines grow at the base of the plateau of Saint-Emilion, where they benefit from the erosion of the plateau, which mixes limestone fragments with the clay. This location, coupled with its ideal sun exposure, makes for an excellent terroir. 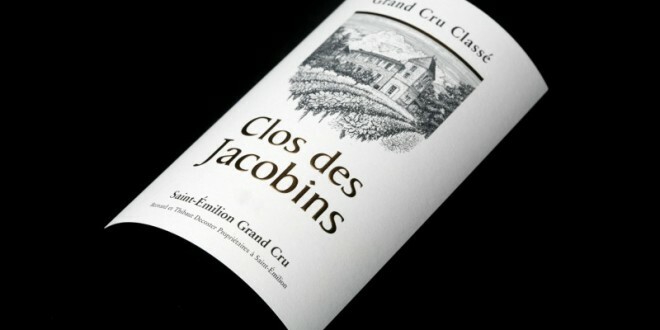 The wines of Clos des Jacobins are characterised by their dark colour and strong bouquet of black fruit. On the palate, the wines are gentle with a beautiful structure that reveals some spicy nuances. 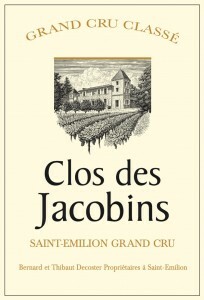 Clos des Jacobins is an example of complexity and balance, with great consistency vintage after vintage. The 2014 vintage began with a cool winter and mild temperatures, which carried on throughout the spring and summer. Winemakers waited for the sun in vain during the summer. However, during these cooler days, the flavours of the fruit could develop slowly and steadily. So when September brought a Indian summer to the region, the grapes were exceptionally flavoursome. The heat of the Indian summer allowed the fruit to ripen perfectly, and harvest commenced at the optimum time. All of these conditions have contributed to create an extremely promising vintage.